The NDCL English department is committed to helping our students reach their fullest potential and preparing our students for success in college and beyond. In every course and on all levels, students practice effective communication (both written and spoken) and accurate, analytical reading skills. 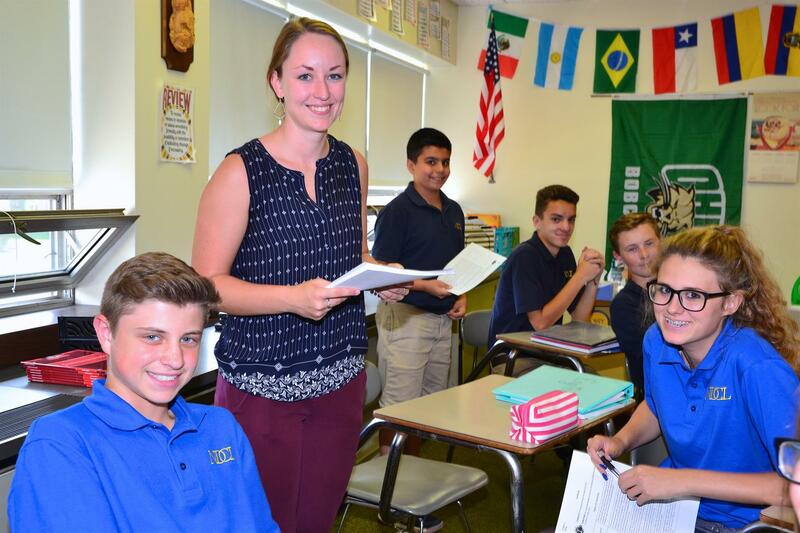 Our Honors/AP track prepares students for two college-level opportunities: AP Literature and AP Language, and all courses focus not just on the traditional literacy skills, but on research and literacy skills for the 21st Century. We are discussion-centered, inquiry-based and focused on connecting a wide range of literature to students' faith and real-world experiences.